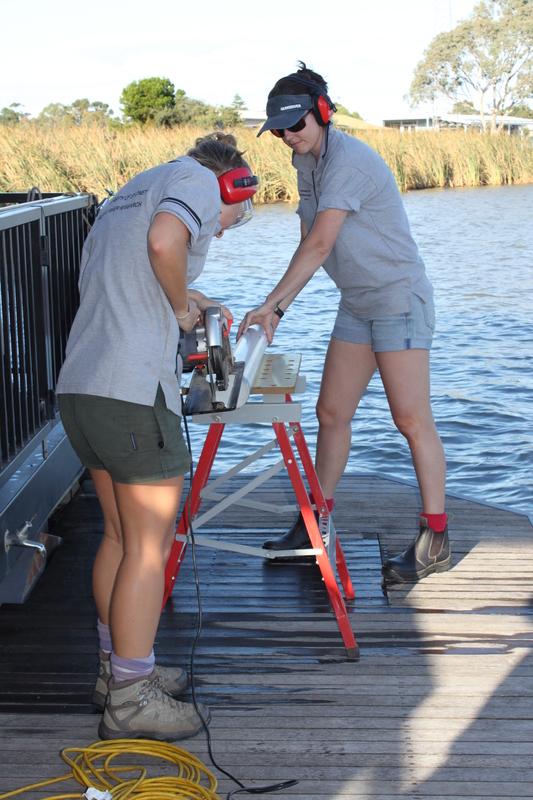 This March saw another successful trip down to the Murray marking the last field trip for Elyssa’s PhD and a handover to commence data collection for my research. 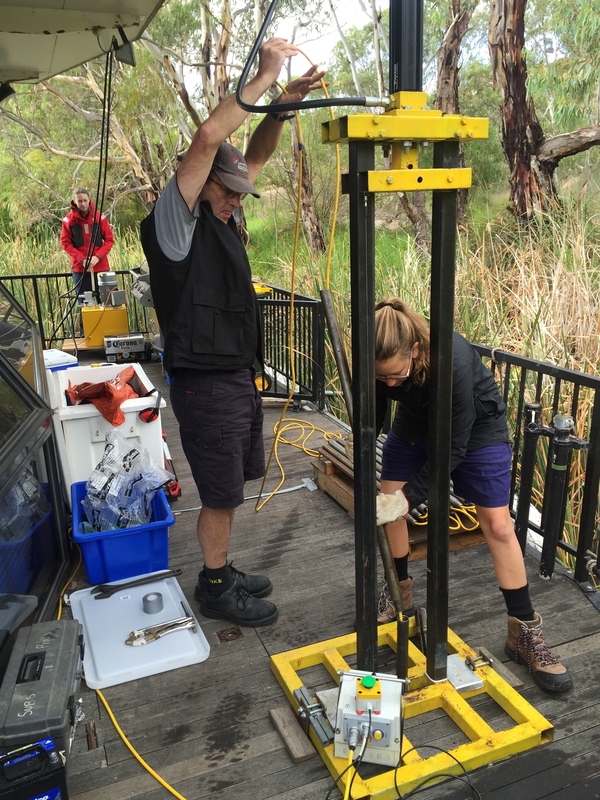 My PhD on the Holocene evolution of the Lower Murray River will build upon Elyssa’s current work by determining the extent and evolution of the recently identified lacustrine valley fill sediment. 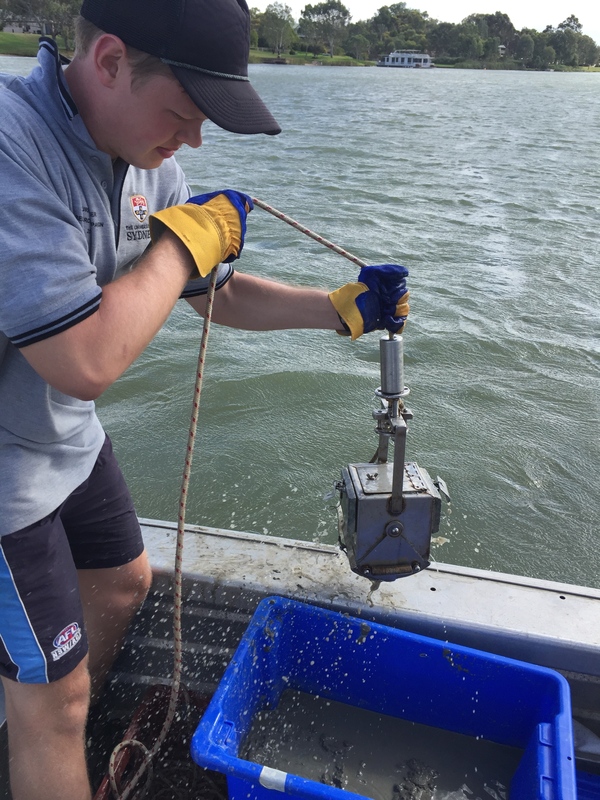 Over the course of the two week trip we collected 10 cores, conducted 3 successful CPT tests and sampled surficial sediments between Wongulla and Wellington. Doug and Nicole Bergersen of Acoustic Imaging undertook multibeam bathymetric surveys to complement data acquired on previous trips. 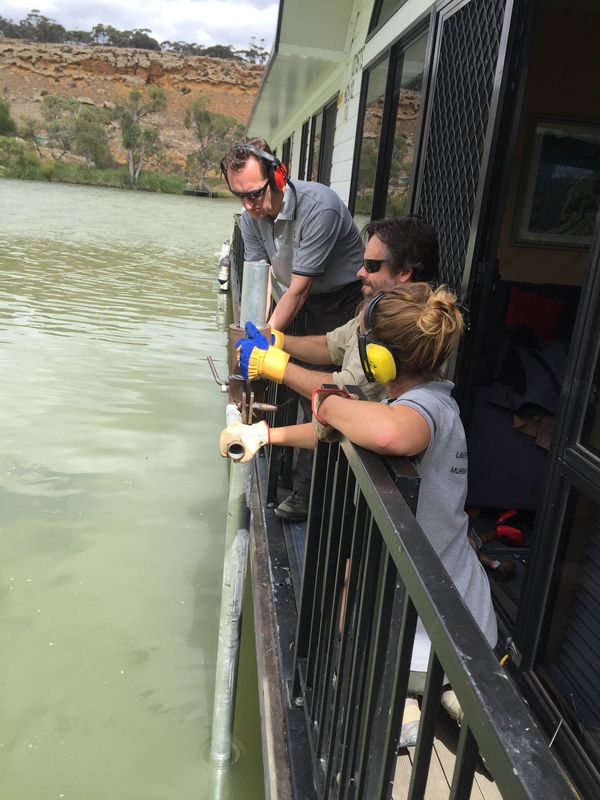 The result is an impressively comprehensive bathymetric dataset of the Murray River between Murray Bridge and Wellington, the first of its kind! This trip we were also fortunate enough to have visits from Professor Steven Darby from the University of Southampton, England, Associate Professor Ian Rutherfurd from the University of Melbourne, Professor Mark Jaksa from the University of Adelaide, and our own Dr Dan Penny. A special thank you to the crew Tom Hubble, Elyssa De Carli, Samantha Clarke, Dave and Marie Mitchell, Hannah Power, Stuart Jamieson and Kendall Mollison!